In order to play the piano properly, you need to sit in the right position. Make sure that the piano bench is the right height so that you can sit comfortably with both arms loosely in front of you with your arms slightly bent. You may need to reposition the height of your bench, purchase a lower bench or put a cushion on the bench as needed. Keep both sides of your buttocks flat on the bench and put both feet on the floor. If your feet don’t reach the floor, you may want to put a book or another object on the floor to support your feet. Sit up straight and curve your fingers slightly as if you were getting ready to catch a ball. Keeping your fingers lifted in this way will make it easier to reach the keys as you play. If you have an American piano, you’ll find three pedals at the bottom. The pedal on the left is the una corda. It is used to make notes softer as you play. The middle pedal is the sostenuto. It sustains individual notes when you press it. Some pianos may not have this pedal, and that’s no reason for alarm, as it is rarely used. The right pedal is called the sustain or forte pedal. It makes notes smoother and produces an echoing effect. When you’re first beginning to play the piano, you likely won’t need to use the pedals, but it’s still important to know where they are. Now, you know how to sit at the piano and can identify the keys. You’re ready to begin playing! To do so, you’ll need to find sheet music. You can download music and print it on your computer or purchase loose leaf sheet music or music books. Music is written all of its own on a series of lines known as the staff. 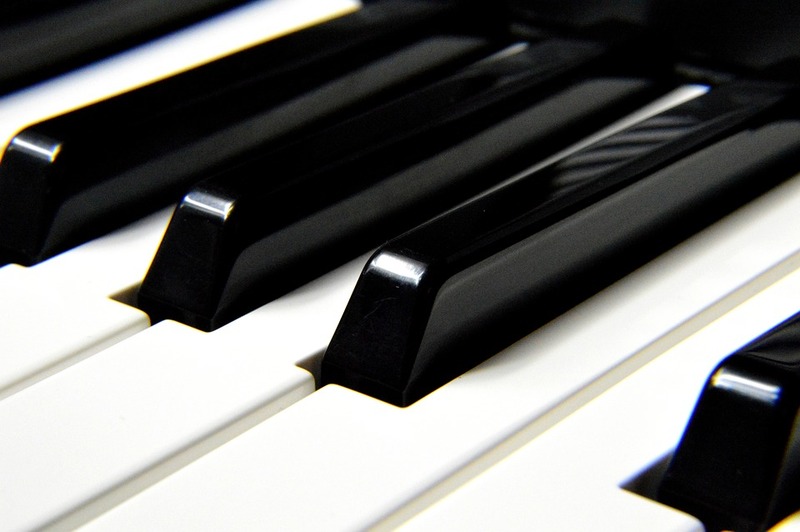 The tones that you play are represented by different types of markings known as notes. Their type tells you how long to hold a key, while their positions correspond to which key to press. Markings are also added to tell you when to rest or not play any notes, when to play loudly and softy, when to speed up and slow down and more. If you don’t know how to read music, you’ll need to take the time to learn. There are online tutorials and courses that you can take, and many music schools and community colleges offer classes that teach music theory. Don’t want to wait until you can read music to play the piano? You can purchase easy read sheet music. This music has all of the notes listed but also provides diagrams or labels to show you which keys to press. Intended for beginners, this music will allow you to play very basic songs. 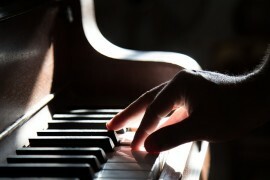 No one can go from beginner to master pianist over night. You’ll need to take the time to practice playing regularly to become good. Set aside an hour every day to play, and you’ll be amazed at how quickly your skills can develop. Thanks for the guide. It is really helpfull for me to understand the keys in piano.